An essential drum mic package. The PGDMK4 drum mic kit includes three PG56 snare/tom microphones, one PG52 kick drum microphone, three A50D drum mounts, four 15ft. 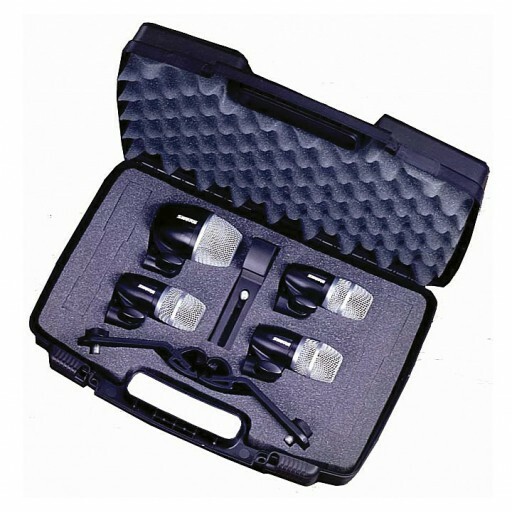 (4.5m) XLR-XLR cables and a durable carrying case. The PG56 is a compact drum microphone for close miking. The PG52 is a high-performance microphone tuned to capture low-end punch. The A50D drum mount can be used on most standard drum rims. The flexible, yet sturdy rubber construction provides stability and ease of installation.